B. Sc. 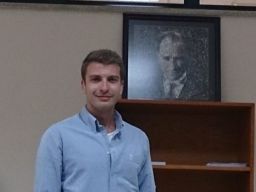 Dokuz Eylul University, Geophysical Engineering, 2011. M. Sc. Izmir Institute of Technology, Mechanical Engineering, 2016. Thesis:	"Design of Acoustic Meta-material Sound Absorbers by Finite Element Method"
Ph. D.	Izmir Institute of Technology, Mechanical Engineering, (On going).